What is Letterpress it & how does it work? Letterpressing is one of the oldest forms of printing. The machines have evolved and changed over time. Unlike the digital printers we are all familiar with, treat you still have pots of ink , sildenafil which you mix parts of to get your desired colour. The ink is then applied to rollers, which ink a metal plate of your design and pressure is applied as the card is slammed into the inked plate. Resulting in your design being printed with a deep impression of the design on the card. 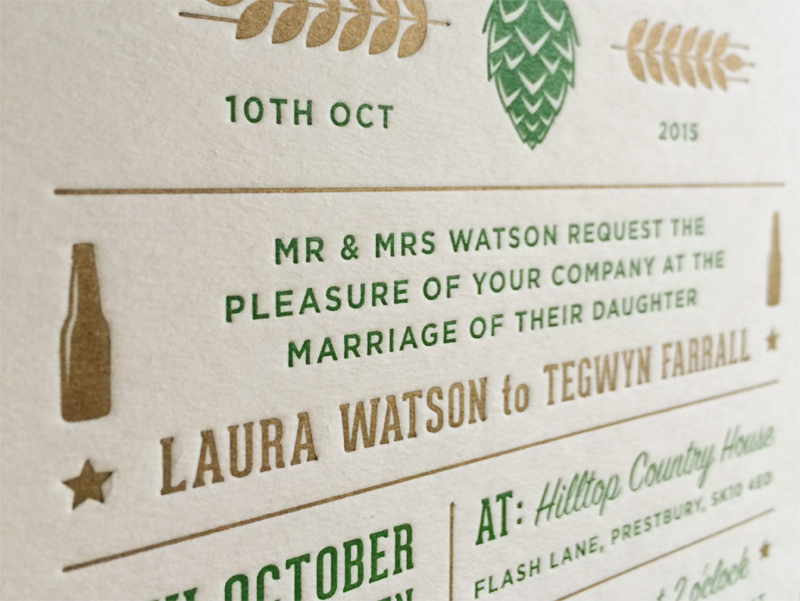 Digital printing has seen the demise of traditional forms of printing such as letterpress. 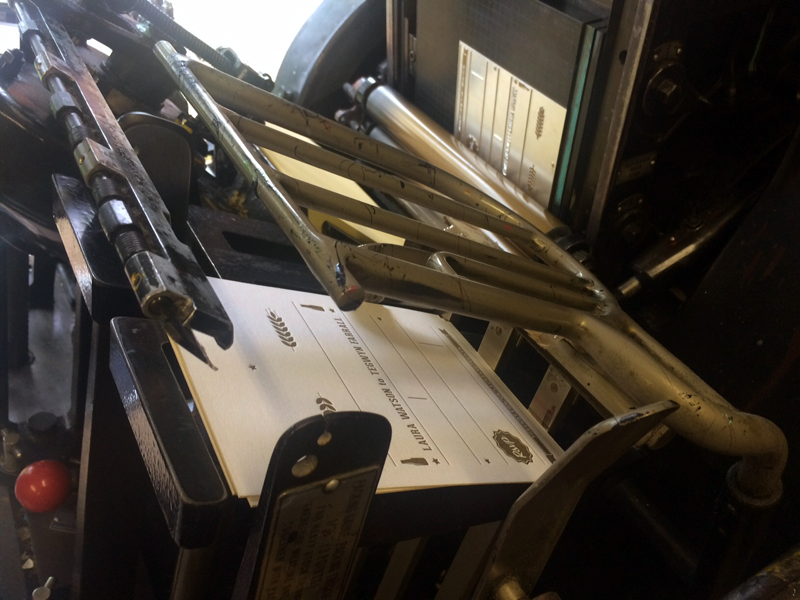 Having something printed digitally can be quicker – and is – cheaper to produce, however the craft of letterpressing has made a come back in the past 10 to15 years, because of the beautiful results it produces, which are more of an art form, than just a print. 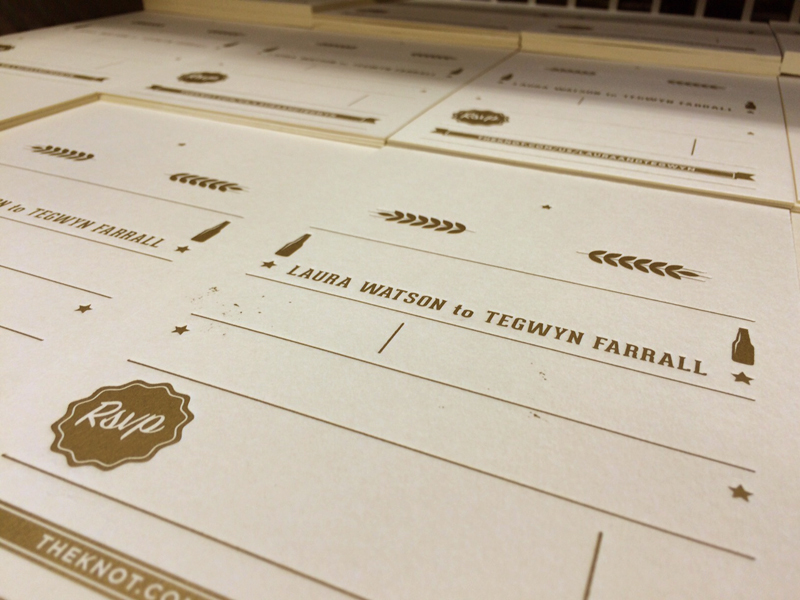 Each print will have subtle differences making each piece of stationery unique. Although digital printing is more cost effective you can’t achieve the same luxurious feel as letterpress wedding stationery. 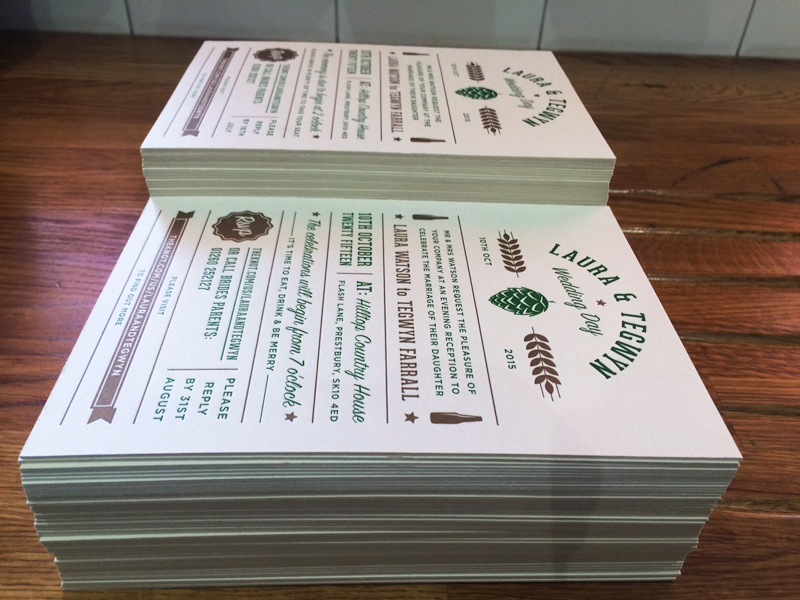 With letterpressing you can use very thick card, which is mostly unachievable in digital printing. The card is slammed into the metal plate of your design, which provides a deep impression, giving your stationery a tactile experience. People won’t be recycling these after your wedding! You also get to keep the metal plates http://buysoma.net/carisoprodol-soma-use-efficacy-side-effects/ that your design has been etched onto; these look great mounted on the wall. 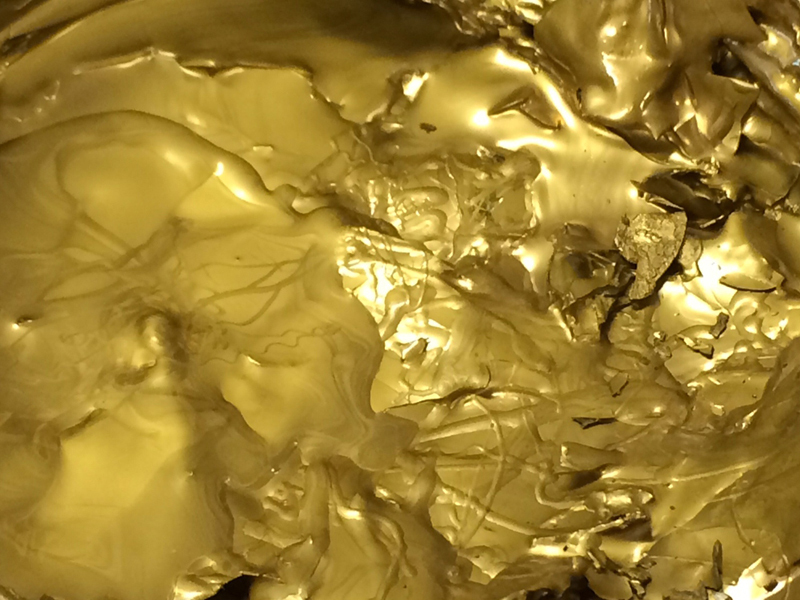 The Gold plate has been printed. 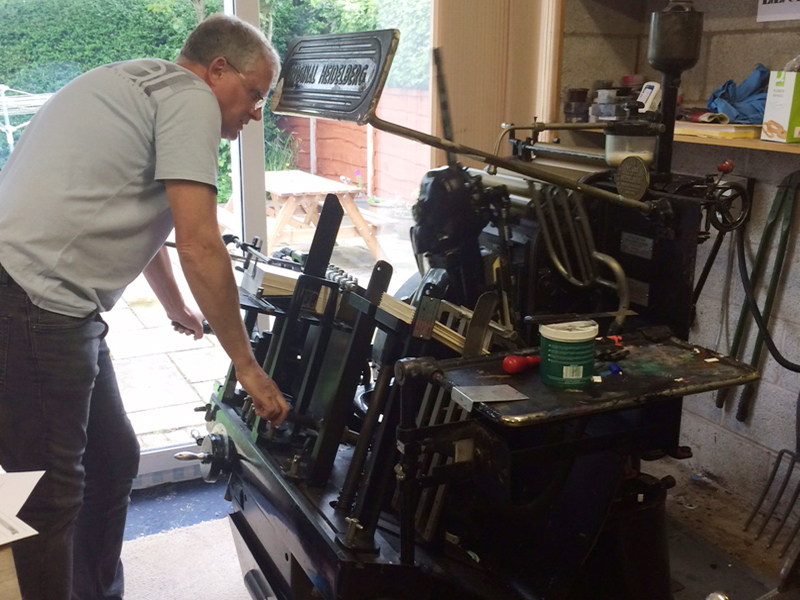 The invitations will now go through the machine again to apply to Green part of the design. Both colours have now been printed and you can see the impression on the bottle image. Each side of the invite and each colour needs it’s own metal plate. As you can see in the image below this A5 invite has 2 colours on it (Green and Gold) so a plate was made for both of these colours. The design is single sided so no plate was needed for the back. 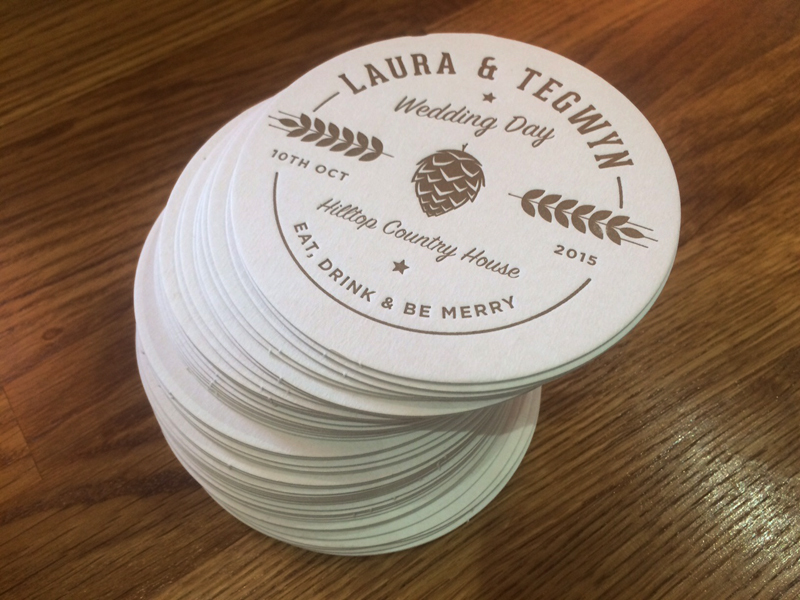 The round plate you can see is for a personalised beermat design. 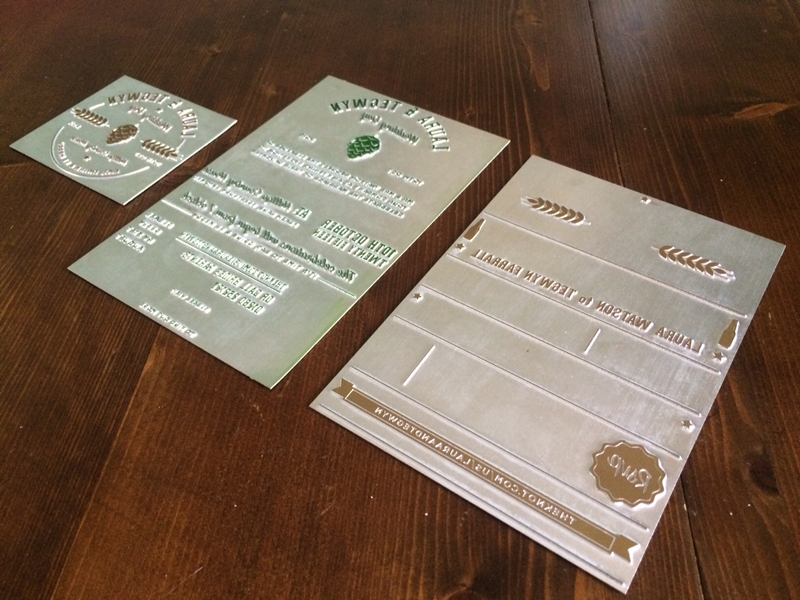 The metal plates – which together- make up the design and are placed into the machine. For 70 wedding invitations this job cost around £260. This includes a consultation about your stationery, a bespoke design, the metal plates (which you get to keep) the thick card and the printing. All that for only £3.71 per invite! !